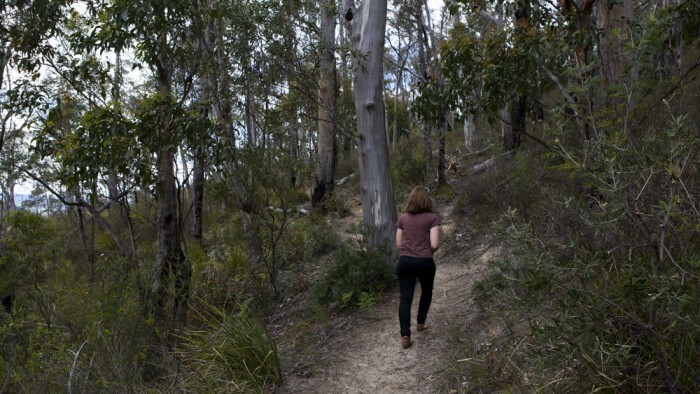 The Gentle Annie Falls Circuit trail is a short, easy graded, loop walk through the bushland adjacent to the southern section of the Waterworks Reserve. Contrary to the track name, there isn’t a waterfall on this hike. Instead, walkers will find a section of a late 1800’s pipeline that was used to channel some of Hobart’s water up until the 1940’s. 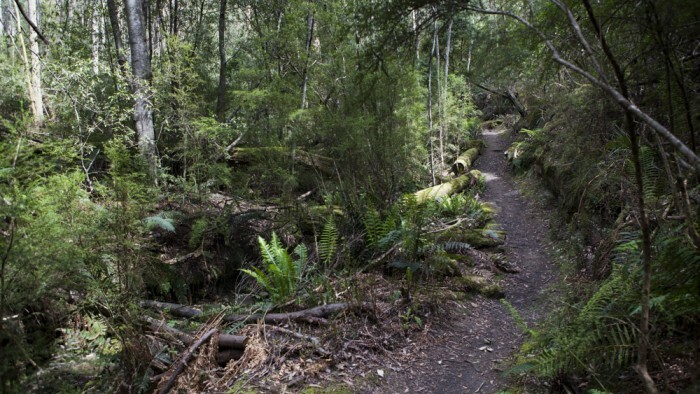 Starting from the far end of the reserve, the trail follows the Sandy Bay Rivulet through lush forest scenery before climbing 50 metres into open bushland. From here the trail gently descends back to the reserve passing Gentle Annie Falls along the way. 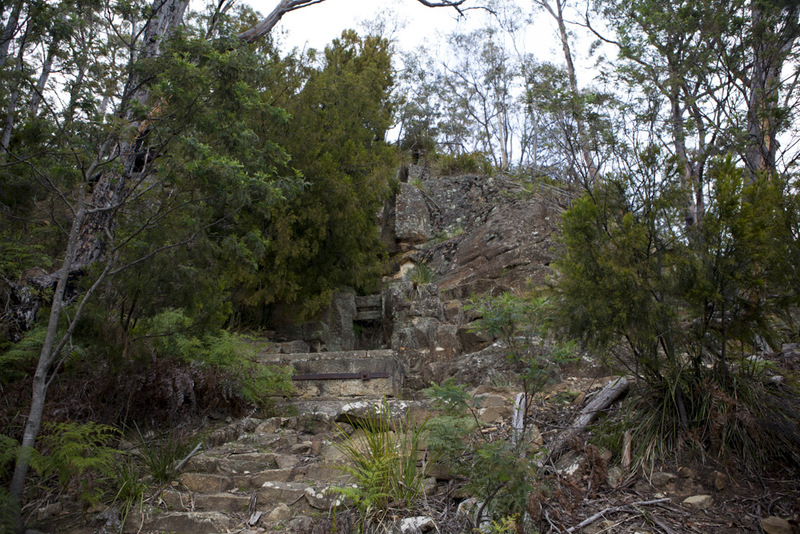 A staircase is provided for access to the top of the falls from which a majority of the reserve can be seen. Walkers can extend their hiking by combining this trail with the Waterworks Reserve Circuit which navigates the opposite side of the reservoir.